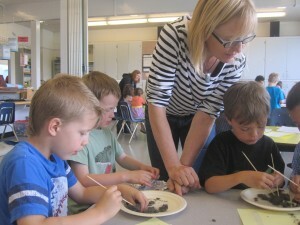 At the homeschool resource centre, kids benefit from classroom resources and special group activities. 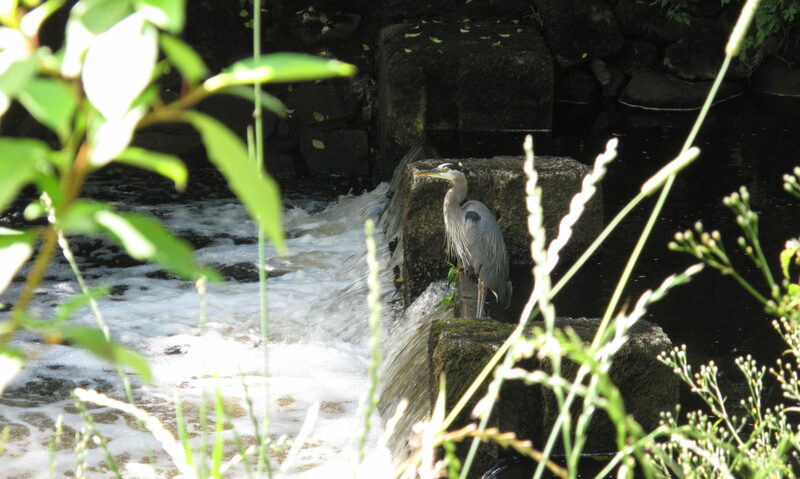 Photo: Colleen Baird. 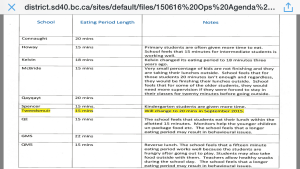 Lunch standards vary significantly from school to school in New West, as shown in this page from the Superintendent’s report on the subject. The children in my daughter’s kindergarten class, like most in the district, are given 15 minutes to eat their lunches before they are sent outside to play. But it’s not really 15 minutes to eat. The McBride Elementary School PAC is putting on a fun night on May 11th called Mom’s Night Out. The event will celebrate Mother’s Day, but they’re also focused on raising funds to replace the aging and outdated computers in the lab at McBride. The event will allow McBride mothers to enjoy a relaxing evening, enjoying other Mothers’ company. It is from 7-9:30pm at Richard McBride Elementary on Richmond Street in New Westminster. During the event, they hope to offer a wide selection of products from some of their own parents’ home based businesses as well as some from the local community. Funds will be raised by raffling off items donated and admission fees. Right now they are seeking donations from the business community – items that can be enjoyed by the mothers at the event such as a platter of food, refreshments etc, or that can be raffled off. They plan to recognize businesses who support the event and allow them to provide literature to handout. They are also seeking at least 20 local vendors/home-based businesses to occupy tables on the night and feel it is a great opportunity to sell/show off products and businesses to McBride Moms and the local community. Being that it is a Mom’s event, the organizers would prefer businesses with products and services that appeal to women. Participating vendors are asked to donate a gift basket (which will be raffled off) and/or a percentage of sales made on the night. If you are able to support McBride School by contributing to this event, please contact Lisa Crozier me at 604-527-9519 or ljb466@yahoo.ca to arrange for pick up of donated items. 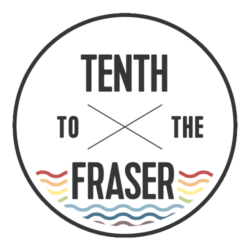 A couple weeks ago I wrote a post about my first impressions of the 2011 Civic Election Candidates for New Westminster, based on a non-traditional all candidates forum at Lafflines Comedy Club. I based my thoughts solely on the all important ‘first impression’, in particular, the issue of trust and authenticity. However, that doesn’t discount the importance of know what a candidate actually stands for. I believe that it is important to do our research as citizens and vote based on policy platforms. First, it is my belief that part of the reason voter turnout is so low in civic elections is that many voters are unclear on the ways in which Civic politicians can impact their day to day life. I wanted the candidates to help me explain through this article, when it comes to family issues, what it is that they can actually do within their municipal offices. My second question required them to be as specific as possible about what they would actually like to see happen in our city. I believe in the “Nenshi” mode of civic politics: “Politics in full sentences”. (Haven’t heard of Nenshi? Calgary’s current mayor. Ran an awesome campaign based on grassroots consultation, social media, and a robust but clear policy platform). However, I also believe those sentences should be short, to the point and without unnecessary ‘fluff’. We often hear candidates talk about how they will improve or make things better. The catch is a) What does ‘better’ mean to them and b) how do you get from now to better, aka do we agree on the means to the ends. I really appreciate the candidates who responded, I know how busy they are. Overall, I got the best response from the School Board Candidates, which reflected my general first impression that overall I was more impressed with the School Board candidates then the council or mayoral ones. I should note, I did have a few candidates who responded but are not included in this article, as they did not directly answer the questions I provided, making it difficult for me to include them in this format. I also had a number of candidates apologize for not having enough time to respond, which I respect. I will share the candidates’ answers to the above questions in two posts. The first one (below) will focus on trustee candidates. The second will summarize responses from mayor and council candidates. I know many parents make choices of where to buy a house in the Lower Mainland based on the schools, their reputation and their programs of choice. In clarifying what the school board can impact, the answer from Mary Ann Mortensen was that, “our Board of Education trustees are responsible for improving student achievement.” The School board can impact this by allocating budget (which comes from the provincial government) to ‘programs of choice’ such as “special needs, apprenticeship programs, drama and music, sports programs, international baccalaureate, adult education, self directed learning. It would also include after school care, child care, special counselling services.” Says Brenda McEachern Keen. The School Board can also provide community access for recreation programs, according to David Phelan. It is important to note, however, that the school board is not directly responsible for providing day care and can not change the curriculum, though it can advocate as such. Overall, most of the candidates indicated a need to advocate to the provincial government for more federal funding. Programs that focus on healthy living: healthy food in the schools, walk to school programs, physical education, ect. Based on what I heard from the candidates, I am confident there are candidates out there that can move us in the right direction.